From the heart of Jakarta, Sudirman Business District Centre, the newest urban fitness complex is now open, Soulbox. 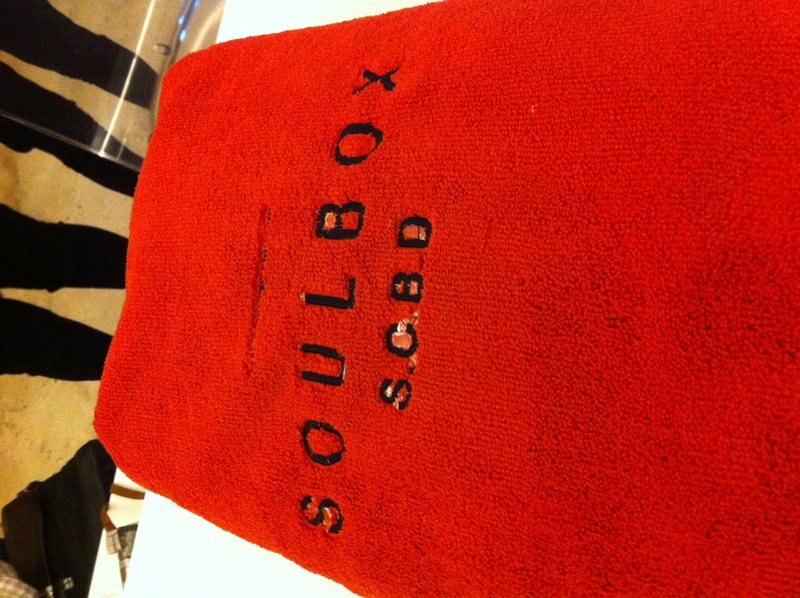 Located at 3rd floor Fairground Building in SCBD, Soulbox is your destination to work out. “ We offer revolutionary wellness, something different. If we’re going to the gym, some people might not be working out. But here, every body that came is coming to working out. We have various yoga classes: Ashtanga Mysore, Baptiste Inspired, Anti Gravity, SHIFT studio, Barre, Pilates. You’ll find the group of people who has the same goal, wanting to working out.” Says Reza Nugraha Setiawan, Marketing Communication Director Soulbox. The team behind Soulbox is familiar faces among yoga/wellness community in Jakarta. Arty Batubara-Nainggolan is the Program Director, and two sisters and yoga enthusiasts Nadia Nasution and former model, Loemongga. Arty brings her passion of ashtanga yoga to Soulbox. She said, it came from experiences, the good ones to share. “ We offer ashtanga Mysore class with quality by having authorized ashtanga yoga teacher. We decorate our room just like Shala as our offering to our practice. We love ashtanga, we experience it very well, and we feel it in our body and life, so we want to share it, so that our member here get the proper benefit, as we have experienced.” Said Arty. As a lawyer, Nadia Nasution experienced difficulties to manage time for working out. “ I went everywhere for yoga, doing my routine, I took a private classes, but here we have everything in one place.” She said. Soulbox’s mission is to provide the busy, social modern urbanites with a wellness solution that is both convenient and highly effective in ubber stylish studios with first class facilities. Modern designed style studio by high profile architect Andra Matin, clean white, spacious room, very stylish and straight to its point to feel like ‘home practice’. The ‘Boxes’ means room, are made to specific need. What a beautiful yoga room, like a Shala, where you can practice Ashtanga Mysore. Very clean bathroom equipped with branded bathroom amenities. Go visit Soulbox, at 3rd floor Fairground, SCBD. In January, they have promotional package Rp 800.000 ( 5x), Rp 1.500.000 (10x) and drop in Rp 200.000. And from February, Rp 1.000.000 (5x), Rp 2.000.000 ( 10x), Rp 2.500.000/ ( unlimited) and drop in Rp 250.000.